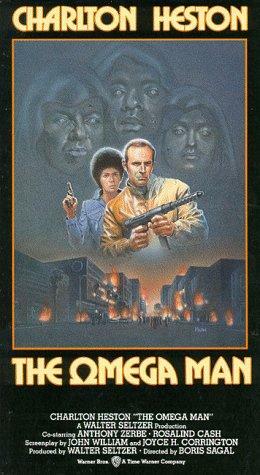 As I was struggling to find copies of movies for the blog, I looked back over my original list and saw “The Omega Man” listed there in 1971. I guess my timing is a little off, this is a movie that I bought on Blu-Ray and watched just a few months ago. I suppose having seen it so recently, I tricked myself into believing that I had already used it for the blog. A little review shows that this is not the case and so I get to finish up this project with a film from one of the early years in my time requirement, and tomorrow’s entry is from the last year I was reviewing for the project. A span of nine years covered in two days. I’m excited about today’s movie for a pretty specific reason, this is one of the earliest movies that I went to see by myself. I’m not talking about seeing it without my parents, I mean I went and no one that I knew went with me. Some of you may think this is an odd habit and some may find it normal. I am usually a pretty social person. I don’t like being alone much, and I enjoy doing things with my family, both then and now. Once I figured out that I liked going to the show, even by myself, I was in trouble, because it is rare for me to skip a film I’m interested in, simply because no one else is. In the Summer of 1971, my family spent most of the season at Lake Gregory, near Arrowhead California. My father had put together with some investors, an elaborate staging of his Illusion show, and we were presenting it in a big circus sized tent. We started doing the show nightly except on Mondays, but the crowds that were supposed to be at this location did not appear. After a couple of weeks, we dropped down to Thursday through Sunday shows. The only nights that we were sold out were the three nights around the Fourth of July weekend. My Dad got very sick that summer, the investors lot a ton of money, and I was left to my own devices on the days we were home from the lake. It was one of those nights that I strolled up Garfield Ave, and cruised into the El Rey theater. 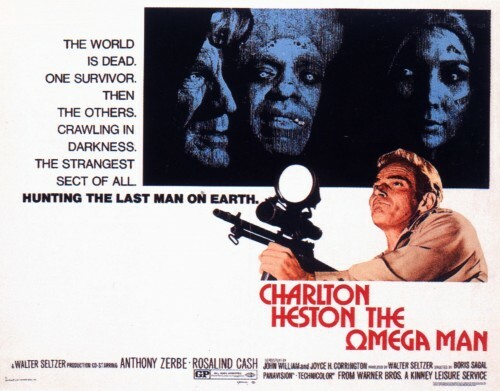 Here, Charlton Heston and I became close friends. I hear the Yenny’s talk about scenarios for dealing with a Zombie Uprising, and my future son-in-law runs a group of hacker’s that are Zombie Hunters on weekends. My first visualization of the end of the world and a zombie apocalypse, comes from “The Omega Man”. Before the movie came out, the book that the movie was based on was promoted with a paperback release, featuring an image of Charlton Heston, staring down the reader through a high powered rifle with an infra-red scope. That looked cool to me and I bought the book and read it(In fact it may still be in a box in the garage). It turns out that the hero is not pestered with zombies, but rather vampires created by a biological disaster. When I get to the movie, they are not vampires and they really are not zombies. We have survivors of biological warfare, who have created a cult of Luddites, determined to turn their back on technology and the past. Heston’s character is the lone survivor of the plague that is unaffected by any symptoms. He was researching a cure when involved in a helicopter crash and was only able to test the serum on himself before the world collapsed. Anyone recognizing this as the plot from the Will Smith movie “I Am Legend” should know that that movie, this movie and the Vincent Price film, “The Last Man on earth” are all based on the Richard Matheson novel. He wrote some great Twilight Zone episodes and a book and screenplay for another film on this list, The Legend of Hell House. 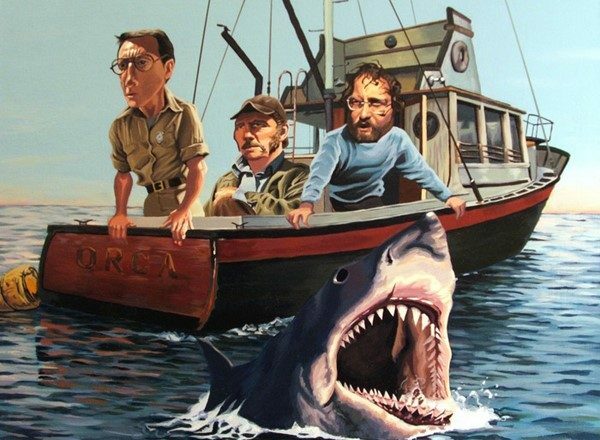 Spielberg should send him money every year because he also wrote Duel, the TV movie that turned Spielberg into a star. None of the three movies is exactly true to the novel, but I like this one the best. The opening section of the film, with Neville, tooling around L.A. in a red convertible, with no one else around is very creepy. The Will Smith version, focuses on this for the first hour or so, and it is the best part of the movie. Once we get some plot and other characters, the movie falls apart. 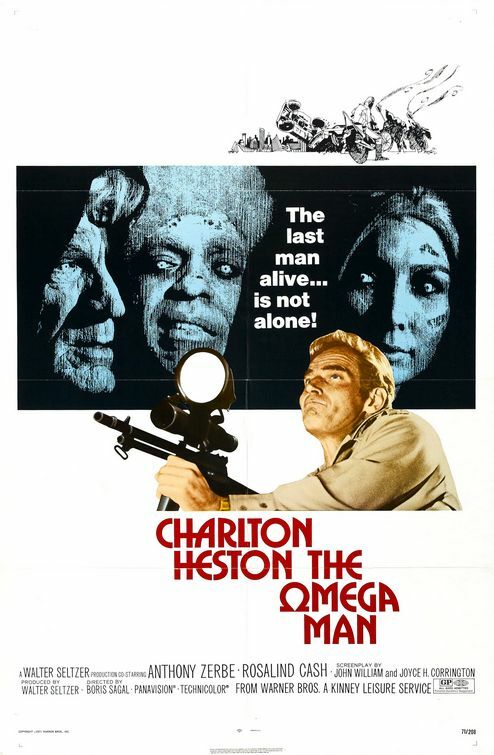 “The Omega Man” does not suffer from that, it is a lot tighter, the lonely guy sequences are just enough to create fear and empathy, and then the others come in. The plague ravaged survivors are blind in the light, and zombiefied in their appearance, but they do speak and have their own twisted reasoning. The morality play is a lot more effective in this version than in the others because the plague infested have an agenda and can articulate it. We may see them as wrong, but they can be understood. Anthony Zerbe, another one of those great character actors who everyone recognizes but not everyone knows, plays the leader of this death cult. He has had bigger parts in movies over the years, but I always remembered him for this role which freaked me when I was 13. Anyway, my vision of how to deal with the end of the world starts with this movie. Drive a cool car, build an impenetrable fortress, stock it with food and luxury. Don’t forget when you are out to stop at the theater where you have a generator set up so you can run a movie for yourself every once in a while, even if it is the same movie for the rest of eternity, and even if it is Woodstock. The only drawback in my plan is that I’m not as smart as Heston’s character, and I’m not as badass either. Maybe that’s why I wanted to be Charlton Heston when I grew up. Along with “Planet of the Apes” and “Soylent Green” he made the best trio of thought provoking science fiction films in my life. The Last Man on earth was the best out of the three because it keeps the actual ending of the book. I Am Legend was changed because they thought the average movie-goer was too dumb to get it. I didn't know they had made a movie off of I am Legend before the same titled movie came out. Loved the book… can't say the same for the newer movie. I'll have to check this out… hopefully its better than the Will Smith version.